This site is owned and operated by Seven Audio, an SARL with capital of € 11,700, whose registered offices are in Bordeaux, at 7 rue Joseph Bonnet, registered with the Trade and Companies Register of Bordeaux under No. 438573 875. This site is hosted by OVH, whose registered offices are at 2 rue Kellermann – 59100 Roubaix – France. It is registered on the Trade and Companies Register of Roubaix – Tourcoing under the number 424 761 419. All components of this website including the domain name, photographs, logos, graphic charter, texts, and all information of any kind – static or dynamic HTML pages, image, sound or video files, etc. – are the exclusive property of Seven Audio, or Seven Audio has the right to use them. Any partial or total reproduction, representation, adaptation or translation of any of the various elements of the site, or use for commercial gain of any or part of the data presented is prohibited and constitutes infringement of copyright (Article L.335-2 and following of the French Intellectual property Code). 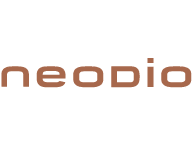 This site aims to make information available to the user about Seven Audio, Hi-Fi equipment manufacturer and producer of the Neodio brand. The information is offered in good faith. The user takes full responsibility for the risks associated with trusting this information. Under no circumstances will Seven Audio undertake to update information distributed on the Internet. Users of the www.neodio.fr site acknowledge that they have the necessary skills and means to access and use this site. Users of the site acknowledge that they have verified that the computer configuration used has no viruses and is in perfect working order. Seven Audio cannot be held responsible for any direct, indirect or incidental damages (costs, losses) or any other risk following the access or use of this site. Seven Audio cannot be held responsible for any damage or virus that may infect the user’s computer or any other computer equipment as a result of accessing the site. Users acknowledge that they have read these legal notices and undertake to comply with them. Users acknowledge having been informed that the Seven Audio website is available 24/7, except as a result of force majeure, computer malfunctions, or problems related to the structure of telecommunications networks or other technical issues. In accordance with the provisions of the French Law 76-17 of 6 January 1978, relating to data protection, the automated processing of personal information collected from this website is the subject of a declaration that has been made to the CNIL (French Data Protection Authority).